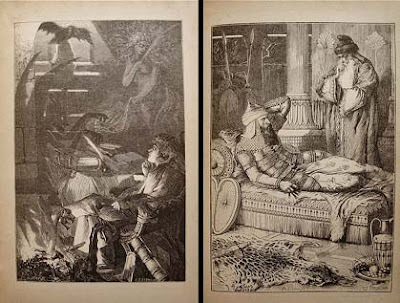 This incredibly rare antique Poems of Edgar Allan Poe illustrated book is from 1881. It's in a beautiful Victorian-era binding, and features stunning engravings. Be sure to scroll down to view all the seller's pictures of this incredible antique book. Here's another lovely antique edition of Poe's Poems, this one from 1902. It also features beautiful engravings. Prose Tales is from 1903. 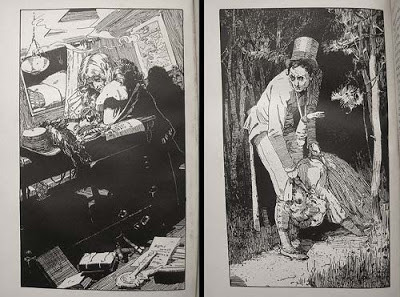 It features really creepy black and white illustrations. 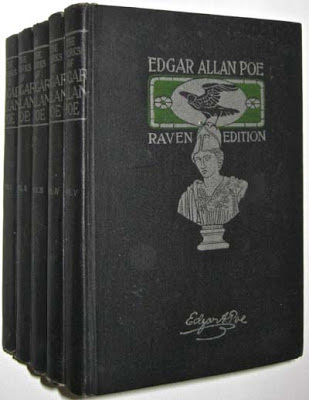 The "Raven Edition" is a five volume set of Poe's works from 1903. Inside, the illustrations are in color. Fabulous!